"Tricia is the most inspiring voice teacher! She has an amazing talent for bringing out the best in your voice, and she is insistent that a good singer not only sounds great but feels great on stage and in even the practice room. 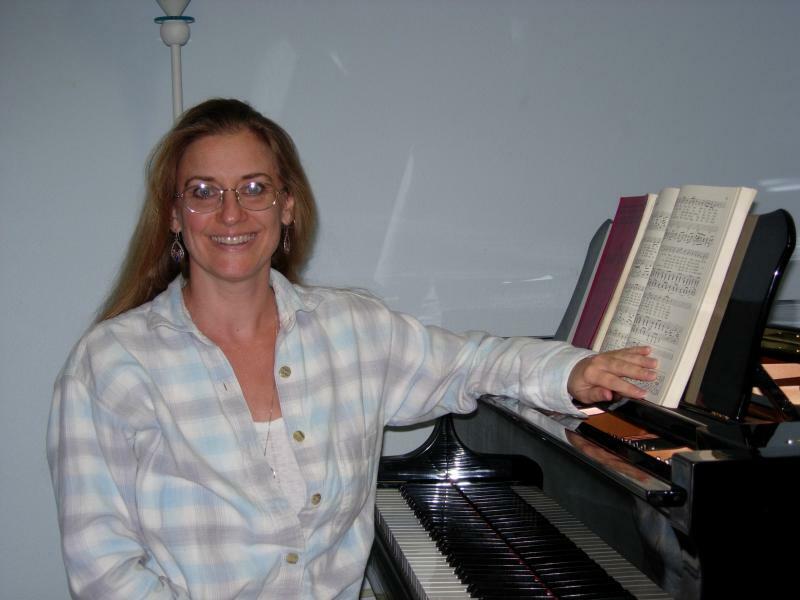 She has a profound and infectious enthusiasm for music and performance, and her teaching includes not only a focus on strong vocal technique but also on interpretation and acting. Tricia inspired me to pursue a career in opera, and I know that many of her students have competed and performed other styles of vocal performance such as musical theater. I can not recommend Patricia Irby highly enough- she helped me discover and develop my passion for singing!" " I appreciate the wide array of wisdom and knowledge that Tricia pulls from. She seems very connected with me in my voice lesson. She is friendly, helpful, affordable and pleasant to work with. "I have struggled with an untrained voice for years and after studying with Patricia Irby for several months I am finally beginning to experience a deep, powerful and articulate singing. Patricia is a voice teacher with technique, spectrum and artistry. She is extremely well trained and she can bring her technique to the idiosyncrasies of the student`s voice. She is very broad in the styles of music she herself is able to sing and likewise teach. In addition, as a consultant, her artistic sense can enhance the student`s development, both in terms of voice and repertoire. I recommend Patricia to anyone who would like to get off on the right foot singing, or refine their already developed singing ability!" Contact Me To Schedule Your Voice Lessons!